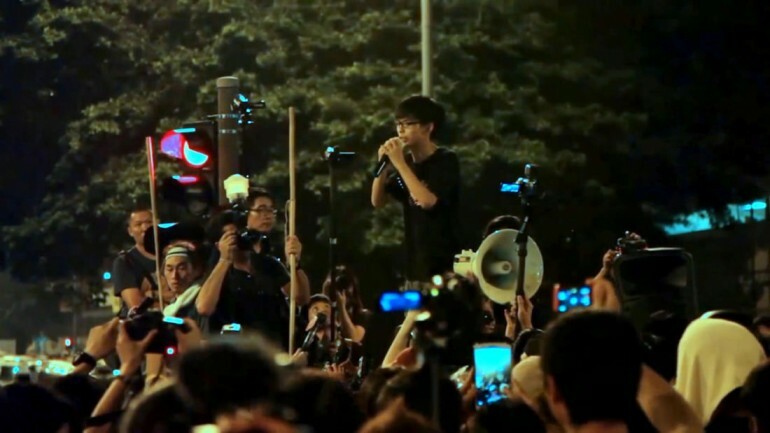 Though bespectacled and thin, Joshua Wong is no meek stranger to the public eye. 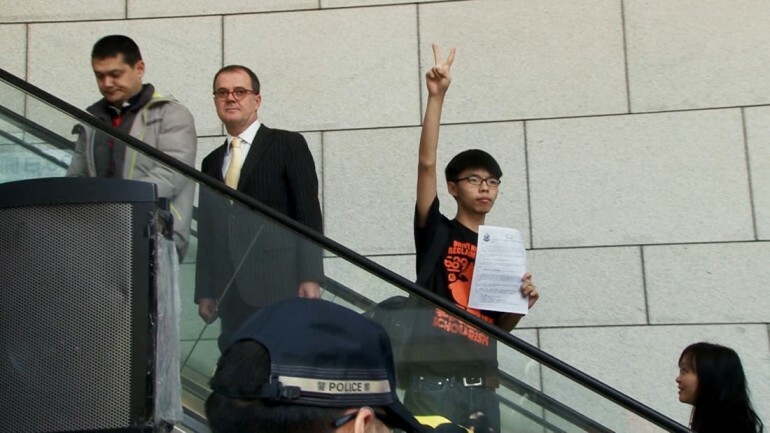 As the de facto leader of the Scholarism movement, to TIME’s Person of the Year in 2014, Wong is commonly identified as the young vanguard of social activism in Hong Kong. Winner of the Audience Award (World Cinema Documentary) at this year’s Sundance Film Festival, JOSHUA: TEENAGER VS. SUPERPOWER not only takes a closer look at Wong’s trajectory from high school student to becoming the face and voice of civil dissent; in no uncertain terms, it also speaks to the power of post-millennial grassroots activism, and its pointed relevancy to the times in which we now live. JOSHUA begins with following Wong’s involvement in organizing students to protest against Moral and National Education proposal – a set of reforms that was to introduce Chinese nationalist themes in primary and secondary school curricula in Hong Kong. The documentary lets us in at Wong’s first in-person encounter with incumbent Chief Executive CY Leung, setting the tone of dissent that Wong has since taken to greater heights: Wong’s success in rallying hundreds of thousands was key in the eventual indefinite postponement of the proposal, and his group’s later participation in pro-democracy protests, Occupy Central, and the so-called Umbrella Movement has both awakened and complicated a new culture of free speech and sociopolitical consciousness in post-handover Hong Kong. Working with producer Matthew Torne, who directed the documentary LESSONS IN DISSENT (2014), director Joe Piscatella weaves candid moments from Wong’s life with interviews by fellow activists, academics, journalists and politicians to carve a sharp profile of a strong-willed, precocious young activist whose defiant voice refuses to be ignored. Since graduating from the graduate writing program at the University of Southern California, Joe has written for a host of television, film, radio and print projects. His documentary, Joshua: Teenager vs. Superpower premiered at Sundance 2017 winning a Audience Award. His earlier documentary, #ChicagoGirl, won an audience award at IDFA in 2013. Joe was also was an executive producer on the documentary, Finders Keepers, which premiered at Sundance in 2015.